Science represents the promise of a judicial system that consistently finds the truth and fairly metes out justice in every case. From DNA evidence, to neutron activation analysis, to radioimmunoassay analysis, to toxic torts, science is the key to convicting dangerous criminals which previously had to be freed and to placing liability for disease causing chemicals in cases where victims would previously have gone uncompensated. The unremitting danger that keeps this scientific utopia from becoming a reality is that science, with its complexity and novelty can be easily misevaluated, or worse - faked. Equally hazardous is our reliance on science as a black box containing all the solutions we need; while the science present in a case may be legitimate and properly interpreted, it could still be inadequate to yield the answers we ask of it. Today, judges almost need an engineering degree along with their law degree to fully understand and evaluate the scientific methods and results attorneys are proposing to show juries. This is the difficult task before the judicial gatekeeper. This series of essays will attempt to address these important issues and provide some thoughts as to how judges around the nation are dealing with their role as gatekeeper. What follows is a brief synopsis of the judge's role as a judicial gatekeeper in New Jersey. In 1923, the D.C. Circuit announced its landmark decision about expert opinion testimony based on novel scientific procedures in Frye v. United States, 293 F. 1013 (D.C. Cir. 1923). Frye became the federal standard for judges to apply in evaluating scientific evidence. In Frye, a defendant in a murder trial attempted to show his innocence by using a lie detector test that measured systolic blood pressure. The court excluded the evidence, reasoning that the lie detector test was unreliable because the scientific principle upon which it was based was not "sufficiently established to have gained general acceptance in the particular field in which it belongs. "(1) Id. at 1014. The implication is that one "expert" scientist testifying to the accuracy of the lie detector would not be enough, a large community of scientists must accept the test in order for the judge to allow the jury to hear the evidence. In New Jersey, the Frye general acceptance standard was first cited in the context of a lie detector test in State v. Arnwine, 171 A.2d 124 (N.J. Super. Ct. App. Div. 1961). Since then, most novel scientific evidence in New Jersey has been held up to the Frye standard. This question was answered in the 1993 case, Daubert v. Merrell Dow Pharmaceuticals, Inc., 113 S. Ct. 2786 (1993) (where the plaintiffs sought to introduce evidence that birth defects had been caused by mother's ingestion of the anti-nausea drug Bendectin). The Court held that Rule 702 did in fact supersede the Frye standard, and adopted a new standard to instruct judges on their gatekeeping role. This new role requires from the judges a two step process to determine the reliability and relevance of the evidence: "[a] preliminary assessment of whether the reasoning or methodology underlying the testimony is scientifically valid and of whether that reasoning or methodology properly can be applied to the facts in issue. "(2) The Court presented a non-exhaustive list of five factors a court can weigh when deciding whether to admit the evidence: (1) whether the theory or technique is testable or falsifiable, (2) whether the method has been subjected to peer review, (3) whether the rate of error is too high, (4) the existence and maintenance of standards controlling the technique's operation, and (5) whether the method has received "general acceptance. "(3) Here "general acceptance" becomes one of many factors the court can choose to consider. Significantly, New Jersey's own rule of evidence concerning expert testimony, Rule 702, is nearly indistinguishable from the Federal Rule of Evidence 702(4) (which superseded Frye). However, New Jersey courts have not interpreted New Jersey's Rule 702 as superseding Frye. Instead, New Jersey has continued to embrace the Frye general acceptance test, but interprets it in conjunction with its newest rules of evidence. This is a departure from a pure general acceptance standard (which will be handled more thoroughly in the next section.) The only area in which New Jersey has adopted a more lenient standard than "general acceptance" (still without adopting Daubert) is with toxic torts. The amended version of rule 56(2) borrowed heavily from Federal Rule of Evidence 702 by incorporating the requirement that expert testimony assist the trier of fact. In addition, the amended rule liberalized the admission of expert testimony by allowing for admission of evidence based upon facts not adduced at trial. Similarly, under the post-Hurd formulation, the facts upon which testimony is based need not even be admissible. (11) This liberalizing trend in New Jersey law initiated in Hurd and codified in the amended version of Rule 56(2) was not readily apparent, however, until the landmark decision in State v. Kellly(12) came down in 1984. Two years before Daubert, New Jersey recognized that in certain types of cutting edge scientific cases, the general acceptance standard would need to be relaxed. In Rubanick v. Witco Chem. Corp., 125 N.J. 421 (1991) and Landrigan v. Celotex, 127 N.J. 404 (1992), the New Jersey Supreme Court fashioned a more liberal standard to meet the special challenges in toxic torts. In seeking "to accommodate the requirements for the admission of expert testimony with the need for that testimony," New Jersey recognized that in the area of toxic torts, "proof that a defendant's conduct caused decedent's injuries is more subtle and sophisticated than proof in cases concerned with more traditional torts. "(16) Therefore, to allow plaintiffs a greater opportunity to present evidence and actually maintain toxic tort claims, the courts broadened the reliability standard. This allowance recognizes that while causation evidence in toxic tort cases may not be generally accepted, the evidence could still be found to be reliable. In Rubanick, the court held that in toxic tort litigation, "a scientific theory of causation that has not yet reached general acceptance may be found to be sufficiently reliable if it is based on a sound, adequately-founded scientific methodology involving data and information of the type reasonably relied on by experts in the scientific field. "(17) With the loosening of the causation threshold, comes a stricter standard for the expert proposing the theory: "The evidence of such scientific knowledge must be proffered by an expert who is sufficiently qualified by education, knowledge, training, and experience in the specific field of science. The expert must possess a demonstrated professional capability to assess the scientific significance of the underlying data and information, to apply the scientific methodology, and to explain the bases for the opinion reached. "(18) In practice, Rubanick changed the emphasis from general acceptance in the scientific community to the validity of the expert's methodology and reasoning. · [P]recisely which field of the "scientific community" must find the evidence acceptable? · Assuming such a field is identifiable, what percentage of that "community" must find the evidence acceptable to satisfy the "generally accepted" standard? These issues are not easy to resolve; however, like the science itself, the law of judicial gatekeeping in New Jersey will continue to evolve and improve to meet the challenges of the next century. 1. In addition to general acceptance, "[t]hree other grounds were commonly used to support the denial: that polygraph results would be 'unduly persuasive' to juries, that admitting the results would lead to a time-consuming and confusing 'trial of the lie detector,' and that polygraph results are not accurate." James McCall, Misconceptions and Reevaluation - Polygraph Admissibility After Rock and Daubert, 1996 U. Ill. L. Rev. 363, 369 (1996). 4. Compare N.J.R.E. 702 (1996), "If scientific, technical, or other specialized knowledge will assist the trier of fact to understand the evidence or to determine a fact in issue, a witness qualified as an expert by knowledge, skill, experience, training, or education may testify thereto in the form of an opinion or otherwise." with Fed. R. Evid. 702 (1996) "If scientific, technical, or other specialized knowledge will assist the trier of fact to understand the evidence or to determine a fact in issue, a witness qualified as an expert by knowledge, skill, experience, training, or education, may testify thereto in the form of an opinion or otherwise." 5. For a more thorough discussion of this issue see infra, "Is Daubert a Liberalizing or Constraining Change from Frye?" 7. Gurry, 24 Seton Hall L. Rev. at 467 citing State v. Cavallo 88 N.J. 508, 517 n.2, 443 A.2d 1020, 1024 n.2 (1982). 8. Gurry, 24 Seton Hall L. Rev. at 467. 9. 86 N.J. 525, 432 A.2d 86 (1981). 10. Gurry, 24 Seton Hall L. Rev. at 468-9. 11. Gurry, 24 Seton Hall L. Rev. at 469. 12. 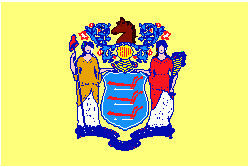 97 N.J. 178, 478 A.2d 364 (1984). 13. 97 N.J. at 178, 478 A.2d at 379. The three-pronged Kelly general admissibility framework was incorporated into N.J.R.E. 702 which supplanted Rule 56(2) without fundamentally altering its provisions. See Richard J. Biunno, Current N.J. Rules of Evidence, N.J.R.E. 702 (1997-98). 14. Kelly 97 N.J. at 210. 15. Gurry, 24 Seton Hall L. Rev. at 471. 16. Landrigan 404 A.2d at 412-13. 17. Id. at 413 (citing Rubanick 125 N.J. at 449). 23. Mark R. Kapusta, Daubert Versus Flanagan Comparing Standards for the Admissibility of Scientific Evidence in Florida State and Federal Courts, 68-Dec Fla. B.J. 38, 40 (1994).